It is time once again to shine the spotlight down on a well deserving crowdfunding project on Kickstarter, it is time for another installment of Let’s Kickstart This! Who doesn’t love morning cereal, pulp movies, and vengeful divas? We love them enough to make them our bride! But since that’s not in the cards, we’ve gone for the next-best thing: combining them on some of our patented T-shirts. 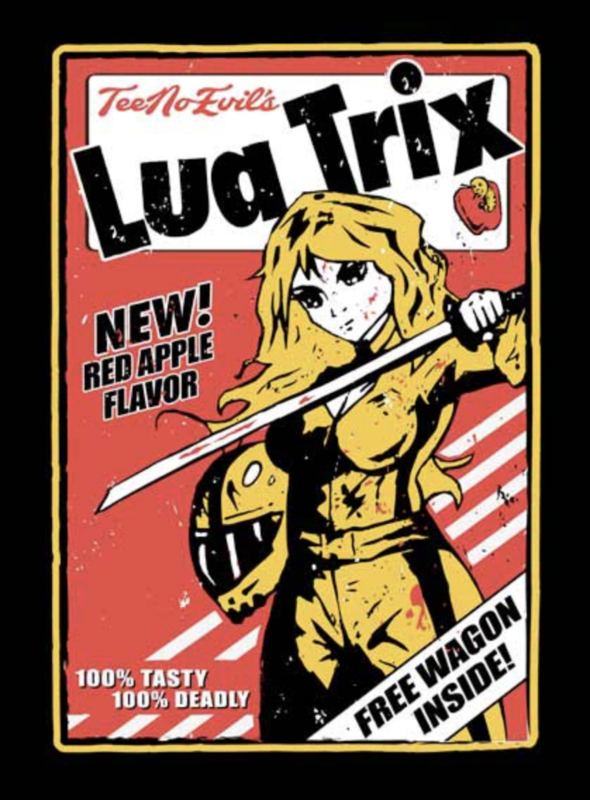 And to sweeten the deal, we’ve collaborated with our long-time friends, the tattooed cosplay artists Erica Fett, Lua, and Neptune. We captured their pitch-perfect cosplay and individual personalities in a tribute to both one of our favorite genres and one of our favorite breakfast foods. 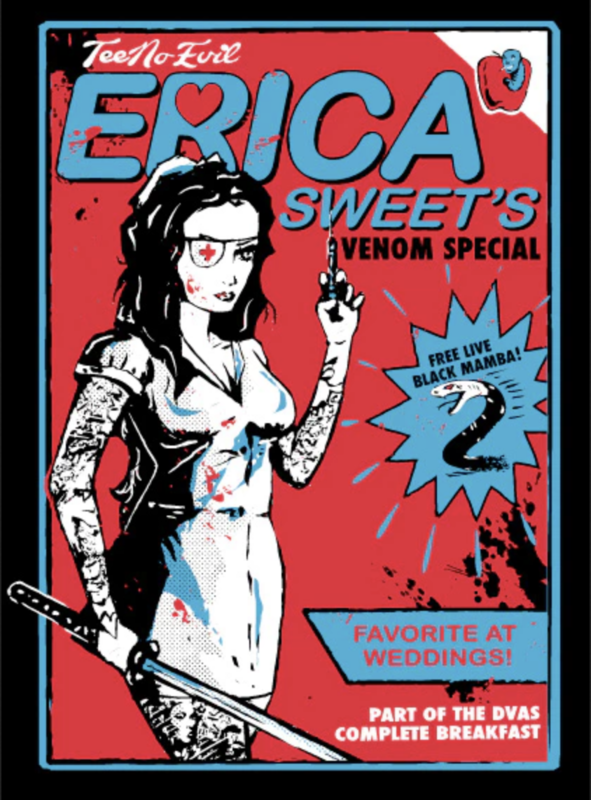 After hanging out at a comic con in Chicago last year and talking about our favorite films, we and the divas agreed that we had to make T-shirt designs. Once the project is successful, backers will get T-shirts, art prints, enamel pins, buttons, original artwork, and much more. Awesome shirts and merchanise from a reliable source. Fans of theses awesome cosplayers and of the classic film that inspired this should really get behind this campaign! 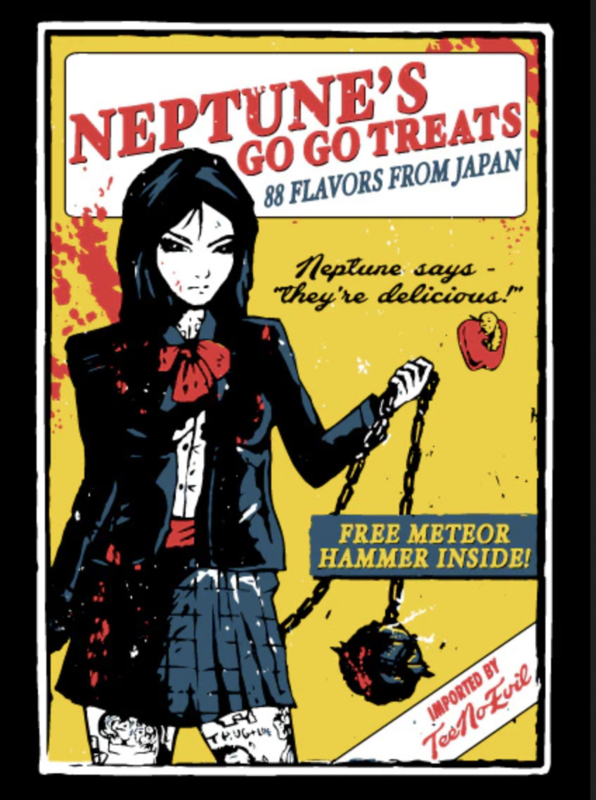 Visit the Kickstarter page at https://www.kickstarter.com/projects/nerdsociety/pulp-tees-packaged-in-cereal-boxes.